Over 600 signatories from major universities in North America and Europe have asked the government to stop the "witch-hunt". New Delhi: Over 600 international scholars, from major universities in North America, Europe – including Princeton, Harvard, Columbia, Yale, Stanford, Berkeley, UCLA, Chicago, Penn, Cornell, MIT to Oxford, and the London School of Economics – have signed a statement of support for Anand Teltumbde, and urged the governments of India and Maharashtra to bring the “witch-hunt” to an immediate halt. Leading American and European academics have signed the statement, expressing deep outrage at the “blatant misuse” of the law to persecute Teltumbde. Signatories include Elizabeth Woods of Yale, Cornel West and Doris Sommer of Harvard, Robin Kelley and Eric Sheppard of UCLA, Mriganka Sur of MIT, and Cindi Katz of the City University of New York. “The 600 odd signatures came in like an avalanche over 72 hours” said professor Raja Swamy, spokesperson for India Civil Watch, a North America-based human rights advocacy organisation that initiated the petition. In the statement, the signatories protested the “false allegations” against Teltumbde, who has been accused of instigating violence in Bhima Koregaon on January 1, 2018. Teltumbde, along with ten other rights activists and lawyers, have been accused of having links with Naxalites. “Such dangerous allegations against one of India’s leading and most prolific public intellectuals is a grave attack on democracy and civil liberties, and urgent redress is necessary,” the say. Standing in solidarity with Teltumbde and the other accused, the academics urged the Centre and Maharashtra goverment to “act with conscience” and withdraw all charges. They demanded that all actions to arrest Teltumbde be stopped immediately. The full statement and the document listing the signatories are below. We, the undersigned protest the false allegations by the government of the state of Maharashtra against Professor Anand Teltumbde and strongly condemn the threat of his imminent arrest. Professor Teltumbde’s house was illegally searched by the Maharashtra police on August 28, 2018. The state and central governments then acted in concert to concoct manifestly baseless charges against Dr. Teltumbde, and have threatened him with arrest under the UAPA (Unlawful Activities Prevention Act) Act, a draconian law that allows the state to suspend a citizen’s right to a fair trial and detain him or her indefinitely. Such dangerous allegations against one of India’s leading and most prolific public intellectuals is a grave attack on democracy and civil liberties, and urgent redress is necessary. Professor Teltumbde is a distinguished scholar, civil rights activist, and one of India’s leading public intellectuals. Admired by many as an organic intellectual of the Dalit community, his writings have contributed immensely to critical debates on democracy, globalization and social justice. He has simultaneously built an academic career as a management scientist specializing in the cutting-edge fields of ‘big data analytics’ and cybernetics, in which he also enjoys a stellar reputation. His astute analysis on the dynamics of caste and class and on the relevance of Dr. B.R. Ambedkar (an eminent scholar of caste and who is the chief architect of the Indian Constitution) for contemporary society are essential references for scholars and are required reading at many of our universities. He is frequently an invited speaker at international conferences, demonstrating the respect his work commands all over the globe. 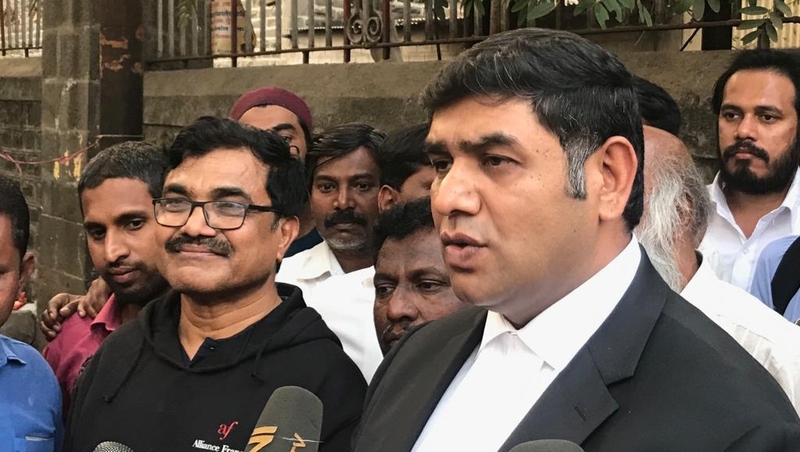 The attack on Dr. Teltumbde is only the latest in an ongoing series of attacks on human rights lawyers, civil rights activists and scholars engineered by the Right-wing Hindu nationalist party ruling at the center and the state. Since June 2018, nine activists have been imprisoned on similar fabricated charges as Dr. Teltumbde. The arrested are Sudha Bharadwaj, Varavara Rao, Vernon Gonsalves, Arun Ferreira, Surendra Gadling, Mahesh Raut, Rona Wilson, Shoma Sen and Sudhir Dhawale. Two others, Gautam Navlakha and Stan Swamy are also under threat of arrest in the same case. This group of twelve are among India’s most respected activists and intellectuals who have consistently fought for the democratic rights of the socially marginalized and oppressed groups, such as Dalits (formerly treated as “untouchables”), Adivasis (Indigenous tribal communities), workers, and religious minorities. As long-time observers of Indian democracy, we are shocked by the state’s vicious persecution of intellectual-activists who have devoted their lives to the defense of the powerless and the weak. Moreover, in targeting Dr. Teltumbde, a man of exceptional antecedent as a corporate leader, high caliber academician and celebrated public intellectual, the state is sending a message to the entire country that it could go to any extent to repress the voice of people if they dare to dissent. All actions to arrest Dr. Anand Teltumbde be stopped immediately. All charges against Dr. Anand Teltumbde and the above mentioned activists be dropped.